LOOKING TO IMPROVE YOUR BACKYARD BBQ SKILLS? Impress your friends and family? Tickets make a great early christmas gift! Hope you’ll join us for an afternoon filled with delicious bbq, prize raffles, and fun! 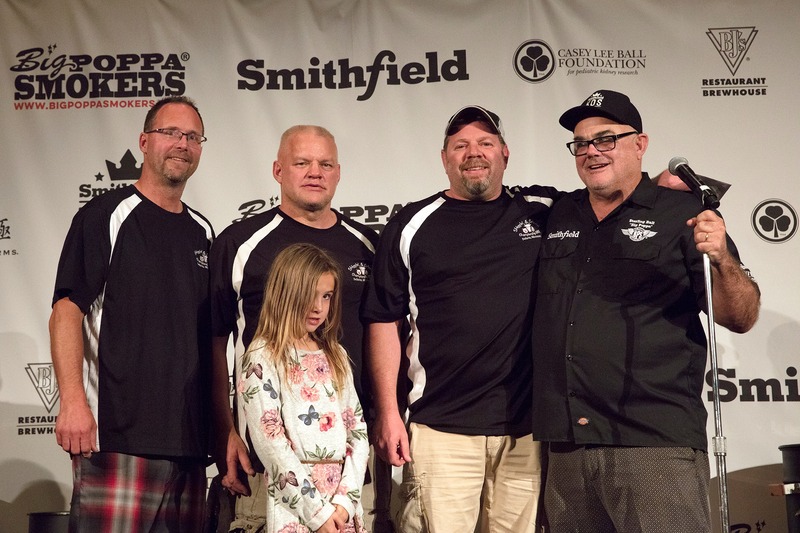 Next up, our 2012 King of the Smoker Grand Champions: Chris Lilly and team Big Bob Gibson Bar-B-Que from Decatur, AL!The Big Bob Gibson Cooking Team has racked up 15 World BBQ Championships in meat categories such as pork shoulder, ribs, chicken and brisket. They have won a record 5 Memphis in May World Grand Championships (2000, 2003, 2011, and 2014, 2017), as well as winning the American Royal International Invitational Cook-Off. 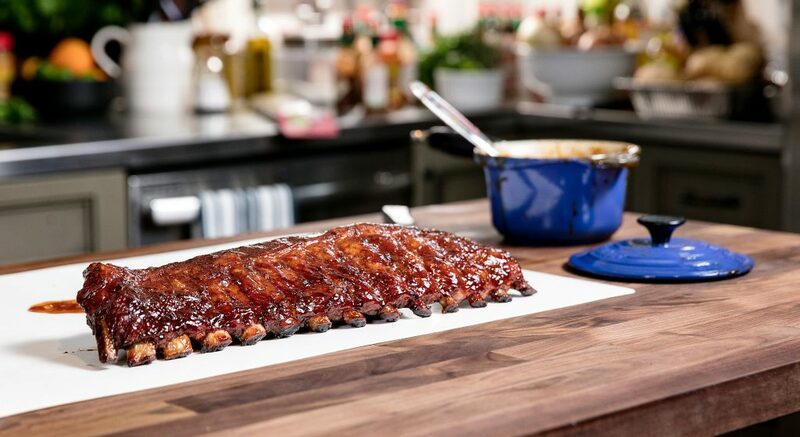 Their Reserve Grand Championship honors include the Jack Daniel’s World Barbecue Championship and The World Series of Barbecue, the American Royal Open. 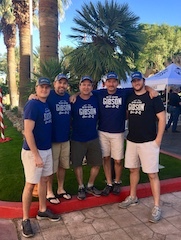 The Big Bob Gibson Crew has appeared on “Live with Regis and Kelly,” “The Today Show,” “The Martha Stewart Show,” “ESPN College Football Live,” and “ESPN Game Day,” as well as numerous Food Network programs. In addition to the television appearances, Big Bob Gibson Bar-B-Q has been featured in Southern Living, People, Food and Wine, Food Network Magazine, The New York Times, Men’s Health, The Wall Street Journal, and Maxim Magazine. 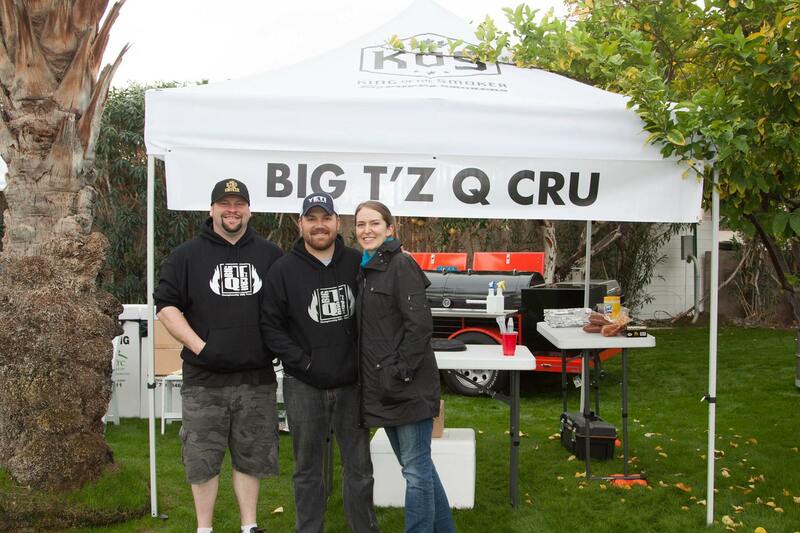 Big T’z Q Cru is led by head cook, Ryan Newstrom. Big T’z is a family team from Ames, Iowa that began competing in 2009. While many friends and family join them for competitions, the main team members consist of Ryan, his wife Sonya Newstrom. Out of the five years that they have been competing, Big T’z has been the Iowa BBQ society team of the year three of those years. 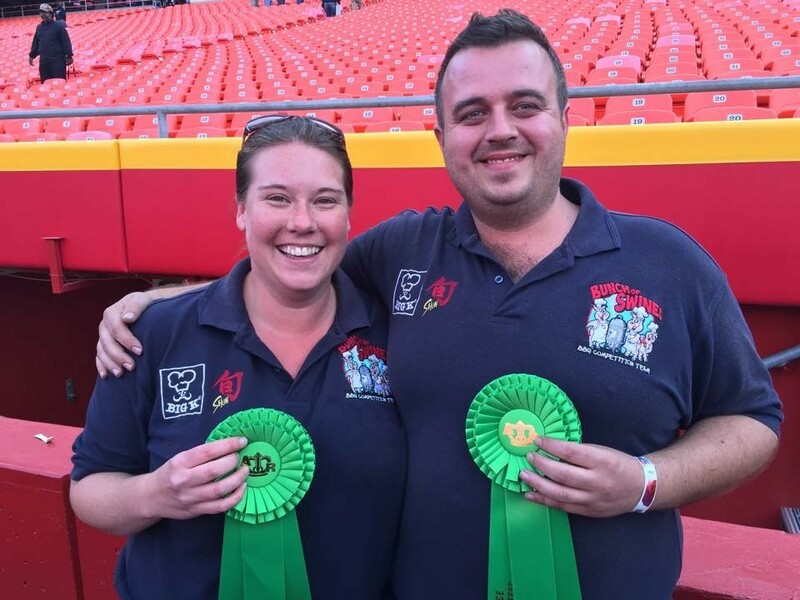 The Bunch of Swines BBQ Team consists of Ed Gash & Emma Millest from Swindon, England. A passion for cooking and being outdoors made barbecue a natural fit. They started their BBQ journey back in 2011. Since then it’s taken them all over Europe, the US and Australia; Meeting thousands of people along the way and making lots of great friends. During their BBQ career, they’ve racked up 27 GC’s so far, including the 2018 American Royal Invitational. This will be their first time at the Smithfield King of the Smoker. Self-taught pitmaster of the Burnt Bean Co. Ernest Servantes. He has been competing for 10 years and is a 40-time Grand Champion and Reserve Grand Champion on the competition circuit along with 100’s of top ten awards. Ernest has appeared on BBQ Pitmasters, BBQ Pitmaster Allstars, BBQ Pitwars has won the food network Chopped: Grill Masters. This will be Burnt Bean Co.’s first time competing at the Smithfield King of the Smoker. Charlie David Bouska, Jr is the lead cook of Butcher BBQ. He is a proud husband with 3 kids and 7 grandkids. He’s had over 34 years in the meat business. 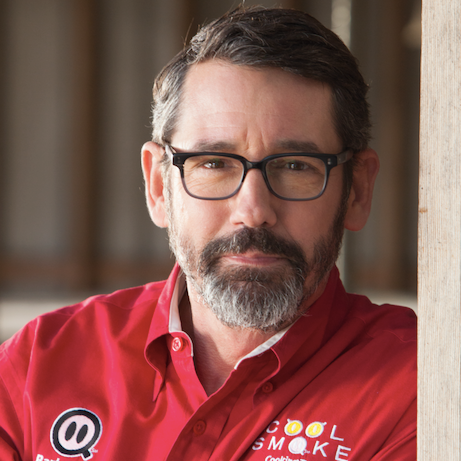 His first cook was in 2007 and since then has had quite a few achievements: 2015 Oklahoma BBQ Hall of Fame, 2012 World Food Champion, KCBS TOY Top 10 and category winners, owner of Butcher BBQ, Inc, made an appearance on BBQ Pitmaster and BBQ Pitmasters All Stars, won over 100 Grand Champions and Reserve Grand Champions, 2018 Reserve Grand Champion of American Royal, and the 2018 Grand Champion Jack Daniels World Champion. Based out of Yukon, OK, this family team consists of Travis and Kimberly Clark and their four amazing children Jennifer, Madison, Brooklyn, and Cooper (Coopdog). They are the 2015, 2017 KCBS Team of the Year, 2017 Rib Team of the Year, 2017 Brisket Team of the Year and winners of the 2017 American Royal Invitational World Championship! Since 2013, they have competed in over 190 competitions, won 45 Grand Championships, 21 Reserve Grand Championships, and have over 155 top-10 overall finishes to their name. They are also opening up a restaurant, Clark Crew BBQ in Oklahoma City early 2019. They say, “We are very proud of our accomplishments, but all of that is second behind the friends and great people we have met along the way. Barbeque has taken us to places we never could have been and it has been amazing. We look forward to continue competing in barbeque and meeting more friends along the way.” – we’re noticing a theme here among the KOS teams! Gettin’ Basted is a family team from Branson Missouri Their team lineup consists of Brad, his wife Sarah, Betsy Wood (Brad’s sister), Michael Wood and the Leighninger kids: Molly (8), Ellie (5), and Hudson (2). Self described as, “a professional slacker with a keen eye for obscure collectibles,” Brad competes in over 40 cooking competitions a year, in addition to running a food truck and successful restaurant. Currently, Gettin’ Basted ranks the #1 team in the KCBS. This Indiana BBQ Team consists of two cousins: Nathan Dexter from Avon, IN and Ryan Horace from Fort Wayne, IN. This is Grey Street BBQ’s 3rd consecutive year attending King of The Smoker. 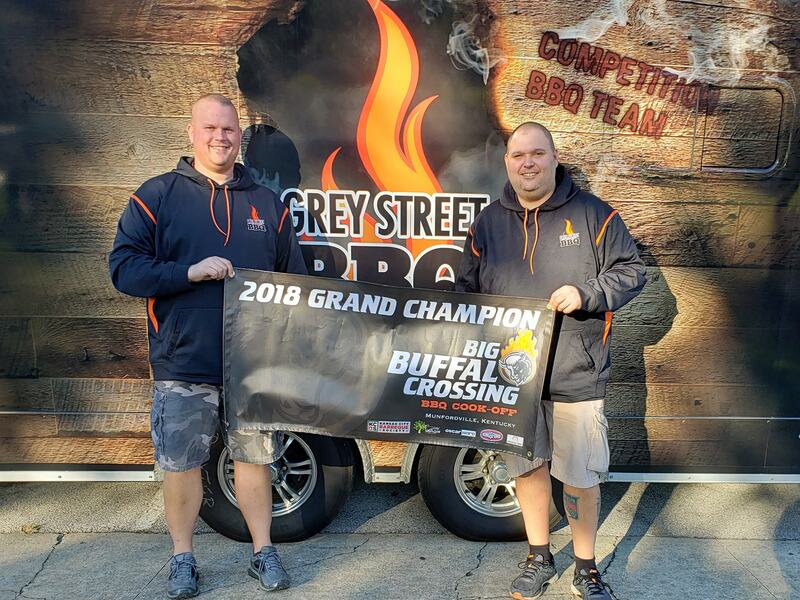 With 8 Grand Champions and 1 Reserve Grand Championship, Grey Street BBQ is currently ranked 5th in KCBS team of the year standings with only 18 qualifying cooks in the 2018 season. 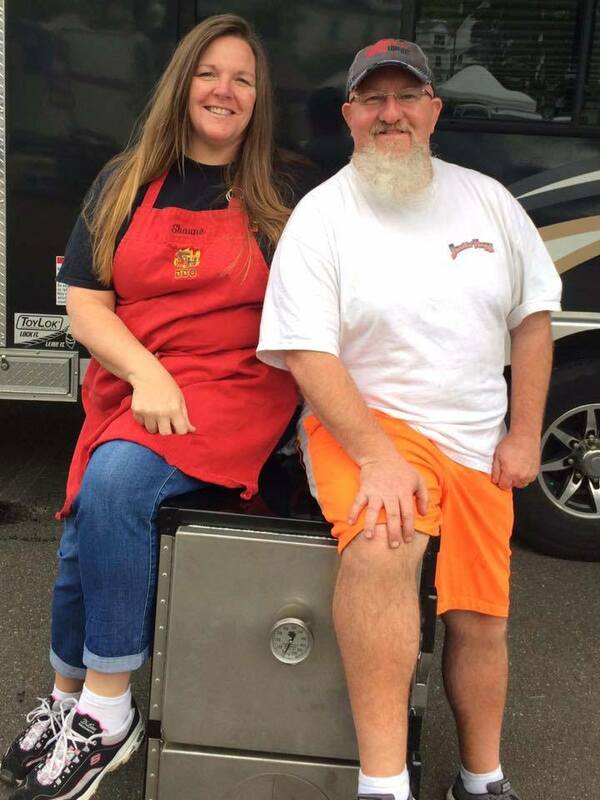 Smokey D’s BBQ was founded in 2006 by Darren and Sherry Warth in a trailer in their driveway. 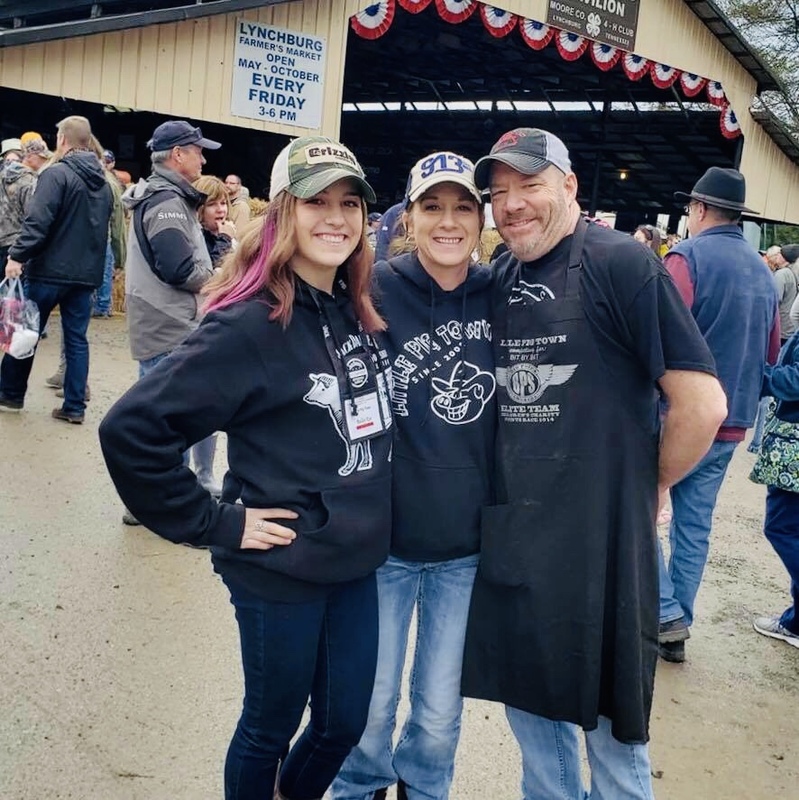 Their success on the competition BBQ circuit yielded multiple requests from friends and businesses for caterings of smoked meats. Both with full time jobs the catering operations quickly became overwhelming. In 2007 they partnered up with Chef Shad Kirton and his wife Angie to open their first carryout BBQ and catering operation. With an overwhelming response from customers in 2008 they opened up a remote location in the skywalk system in downtown Des Moines. Smokey D’s has become known as Central Iowa’s place for Championship BBQ. 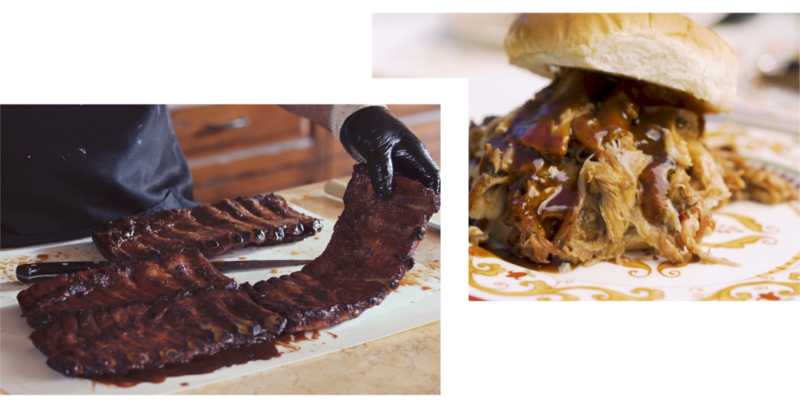 Both owners compete against each other on the BBQ circuit and have a won a combined 600+ Category awards and over 40 State BBQ Championships including Darren and Sherry winning the 2013 American Royal Open, 2013 Kingsford Invitational, the 2014 Jack Daniel’s Invitational, the 2014 King of the Smoker Invitational, the 2016 American Royal Open Championship, and are the 2017 Houston Livestock and BBQ World Champions. Little Pig Town from Owasso, OK consists of Scot, Rocky & Bailey Kee. They started cooking in 2008 and since then have cooked at 230 contests with 163 top 10 finishes including 31 GC’s & 23 RGC’s. 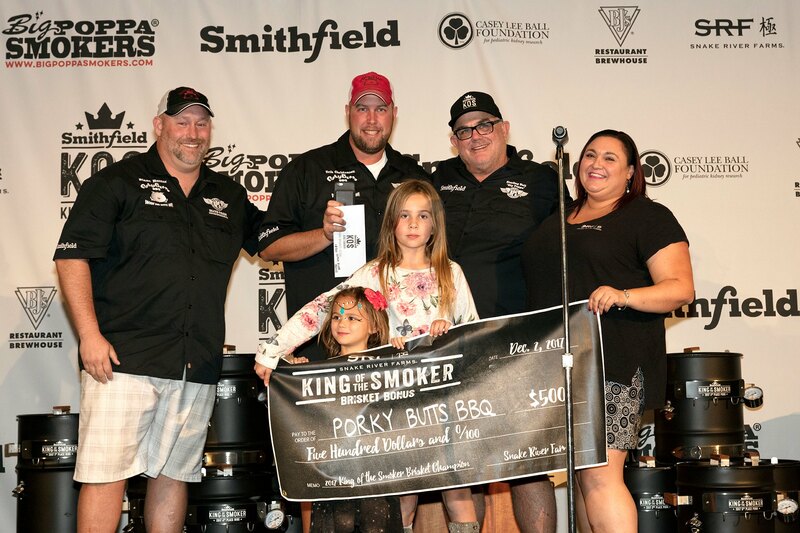 Little Pig town says “By far, the biggest, most memorable win is King of The Smoker 2015. Following close behind is taking home the NM Governor’s Cup 3 years consecutively, the GC at the 2016 Smithfield Guinea Pig, 1st place trophies from The Jack & The American Royal and Pork TOY in 2009. Lucky’s Q consists of head cook, Justin McGlaun, his wife Kate and two children Gavin (7) and Ava (2). Born and raised in the Midwest, Justin always had a passion for cooking, more specifically the pairing of wood, fire, smoke and meat. Competing wasn’t a thought until 2009 when he and a friend decided to build a smoker out of a broken 55 gallon air compressor tank. It turned out pretty nice, so they entered in the local backyard contest that year and won. He’s been cooking ever since. Justin was given the nickname Lucky back before BBQ as his luck always seemed to be hard to find. Despite having an allergy to pork, he has seemed to pick up a little here and there while out on the BBQ trail. 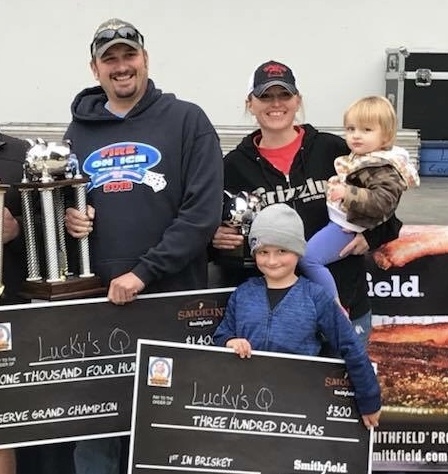 Lucky’s Q has one major’s such as the Sam’s Club National BBQ Tour and King of the Smoker. In 2018, they tied for Reserve Grand Champion at the American Royal Open Contest. 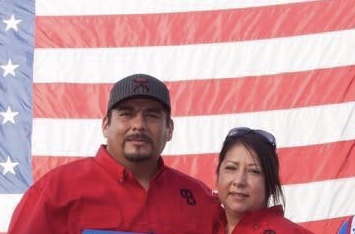 They have made BBQ a family affair by entering Gavin in Kid’s Q contests and look forward to continue to make great memories as their children get older. 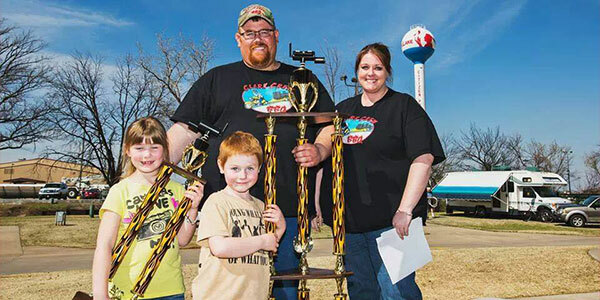 Steve Hayden formed one2bbq and started competing in 2009 and have competed in over 175 competitions to date. They have won 50 combined Grand and Reserve Grand Championships, including Reserve Grand Champions at the 2018 American Royal Invitational. This will be their 4th trip to the King of the Smoker event. Pig Skin BBQ has been competing for over 6 years. This tightly-knit family team is made up of Scott and Katy Nelson, along with their five children; Gavin, Chloe, Ben, Valerie, and Lucas. 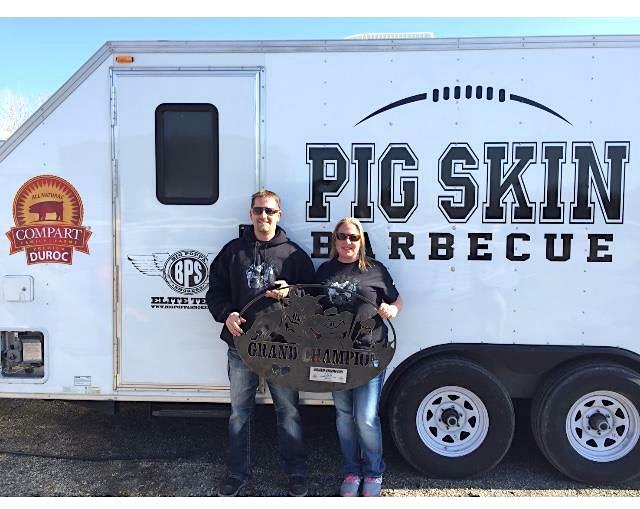 Pig Skin BBQ have won prestigious awards such as Grand Champion at the 2012 Jack Daniel’s World Championship, and Reserve Grand Champion at the 2013 King of the Smoker. 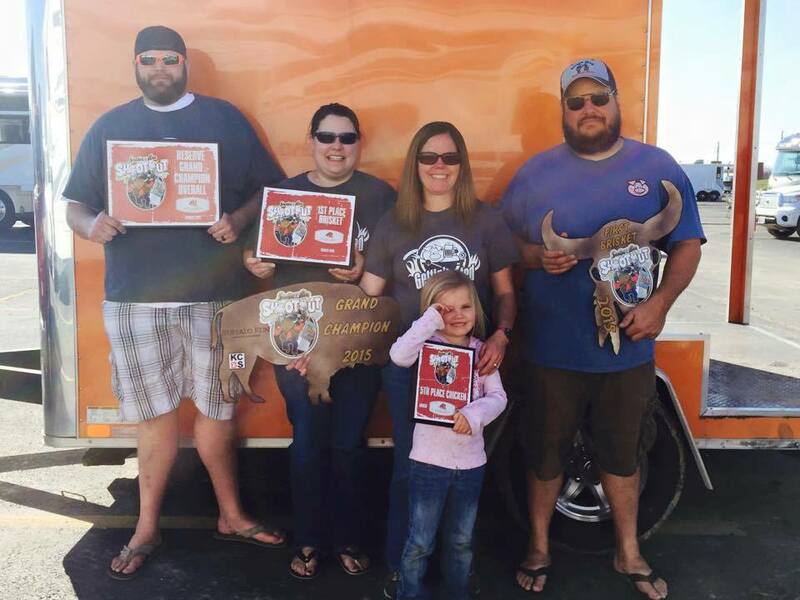 Hailing from Omaha, Nebraska, the Porky Butts BBQ team was formed in 2013. In a few short years, Blane Hunter and his crew won the title of 2016 KCBS Team of the Year, 2016 Rib Team of the Year, the 2017 Grand Champion title at the American Royal Open and took the Grand Championship title at the 2017 Smithfield King of the Smoker. Fred Robles started cooking in 2013, and was hooked ever since. Fred Robles and his team have won close to 50 GC’s, multiple RGC’s, and numerous 1st place walks in each category. As the 2016 and 2017 Team of the year in IBCA, they also won 1st in the Texas BBQ Points Chase in both 2016 and 2017. 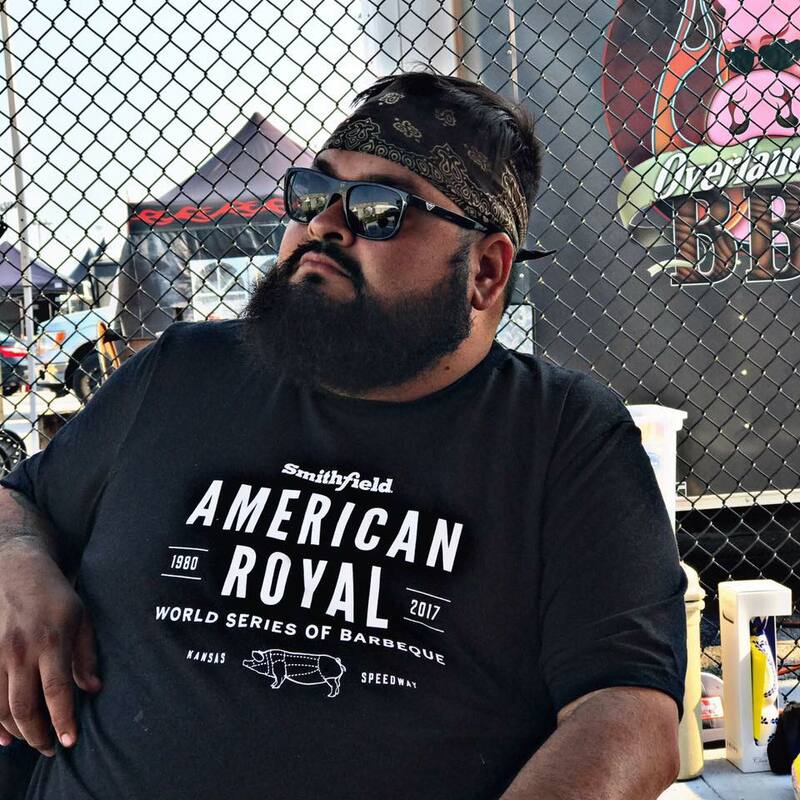 Fun fact: In 2016, Fred qualified as an “automatic” into the Jack Daniels BBQ World Championship — the 4th person in the history of the event to be an “auto” from the state of Texas! 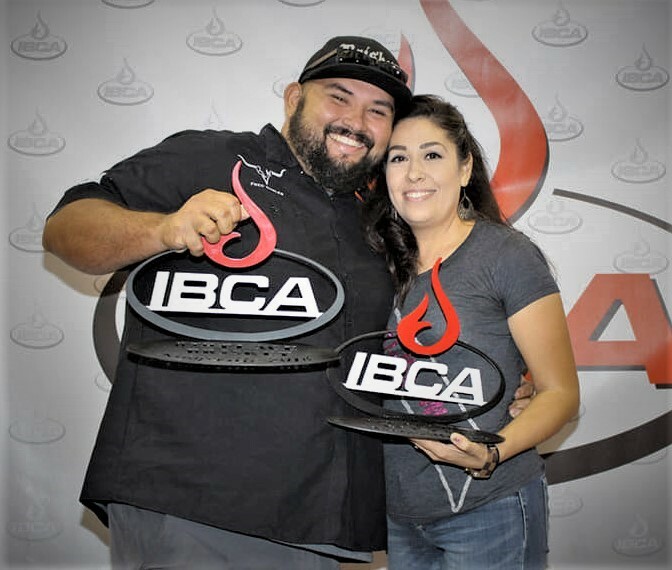 Rio Valley Meat was also the 2017 Barbecue World Food Champion. Fronted by their larger than life head chef Tim Scheer, Shake ‘n Bake BBQ has been cranking out competition winning que since 2009. Along with his boss and CEO Terri and their three girls Tatum (9), Taylor (8) and Tenley (5), Tim ranges from his home base in New Haven, Missouri traveling the country doing over 35 competitions a year. 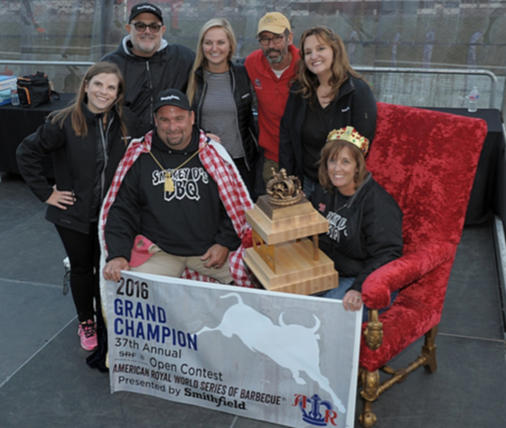 Tim has won dozens of Grand and Reserve Grand Championships including the 2016 American Royal and King of the Smoker Reserve Champion, 2015 Kansas City BBQ Society’s Rib Team of the Year and the 2016 Pork Team of the Year. and family. 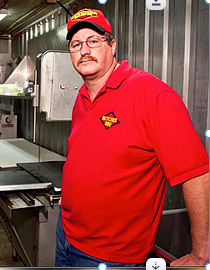 In 2005, Bill joined the BBQ circuit and in 2008 formed his own team, Smokin’ Hoggz BBQ. Smokers” and “The Smoking Bacon Hog Cookbook: The Whole Pig and Nothing but the Pig. 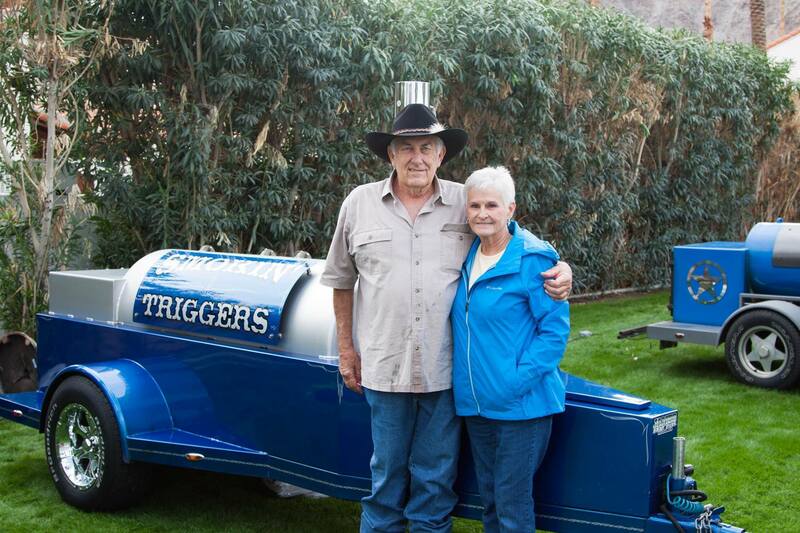 With sixty-three Grand Championships and countless category wins to his name Johnny Trigg of Smokin’ Triggers has cooked over 600 events during his long, storied BBQ career. With his wife Trish at his side, Johnny began competing in 1990. From his home base in Alvarado, Texas, he has logged hundreds of thousands of miles, competing in nearly all the U.S., and even parts of Europe. National Champions in 2003, Smokin’ Triggers has also placed as that coveted award’s runner up twice. In addition, he’s nabbed the Kansas City Barbeque Society category Team of the Year winner multiple times. But his biggest trophy of all, physically, has to be the full dress Harley Davidson Ultra Classic motorcyle awarded him for winning the L P Que in 2007. And his most cherished prize? 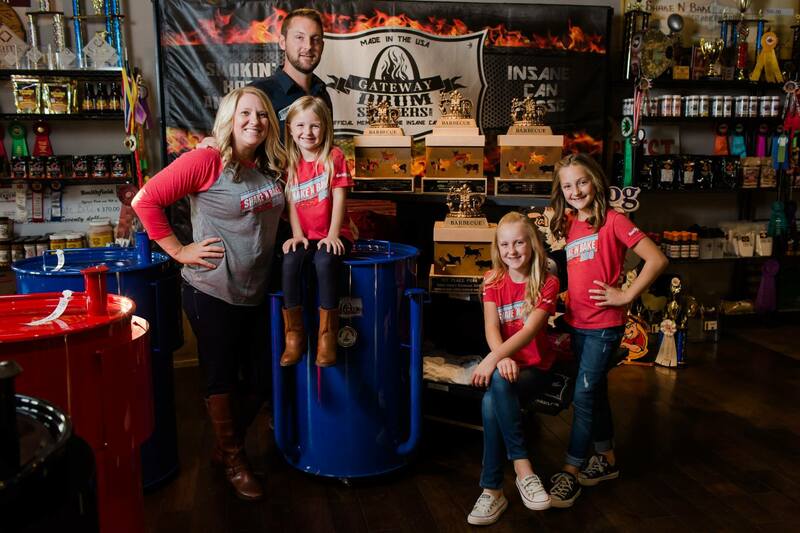 The $50,000 purse won on national television during Kingsford’s BBQ Pitmasters Season 3. In addition to that memorable career moment, Johnny will never forget a USO-sponsored mission to Kuwait, where he and five fellow pitmasters fed authentic BBQ to over 5,000 US military troops in Kuwait. Feared most by fellow competitors for his award winning ribs and brisket, Johnny, “The Godfather of BBQ,” remains the oldest active competitor in barbecue, and has no intention of slowing down anytime soon. Tippy Canoe BBQ Crew hails from St. Ansgar, IA. This national BBQ team has strung along various top 10 awards, including a couple of GC’s and RGC’s. 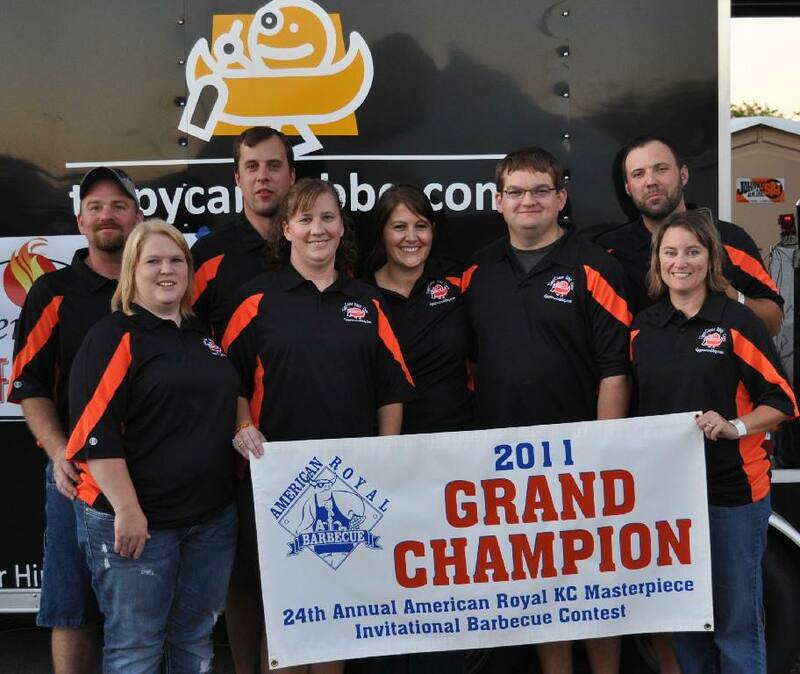 TippyCanoe BBQ Crew was the 2013 Smithfield King of the Smoker Grand Champ and we’re excited to invite them back. Everyone knows the story of the Three Little Pigs, but like all good classics, a little imagination can bring a whole new perspective, so we thought: what if the brick house was turned into a smoke house and that’s how wolf got his revenge! And so, Wolf’s Revenge BBQ was born. 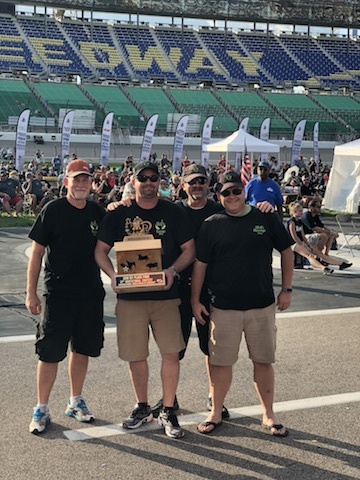 As a KCBS competition team, Wolf’s Revenge BBQ currently holds one of the highest KCBS contest scores for any single contest east of Tennessee. Wolf’s Revenge BBQ has won Grand Championship, Reserve Grand Championship and even State Championship titles along with a room full of trophies! Beyond the accolades of cooking award winning BBQ however, Wolf’s Revenge BBQ love competitions for the opportunity to meet new people and make new friends—if it weren’t for a host of locals, sponsors, organizers, judges and countless others, Wolf’s Revenge BBQ wouldn’t be able to do what they love to do best. Stop by and say hello if you see the Wolf’s Revenge BBQ truck and banner. 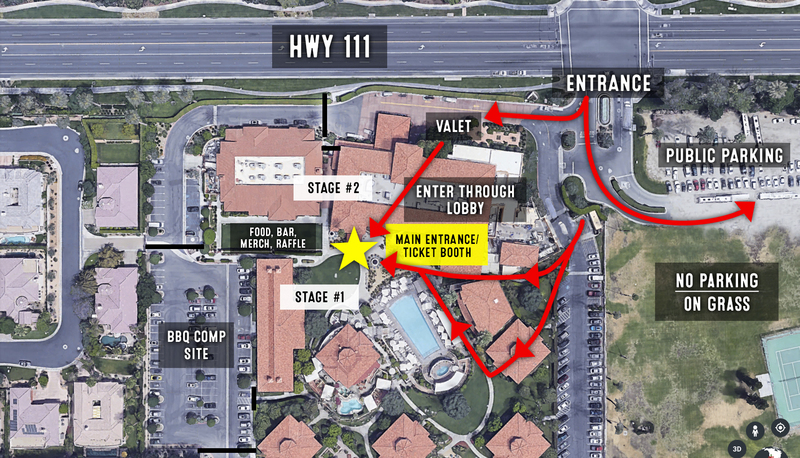 Free public parking is located in the dirt lot on the East side of the resort. Please do not park on the grass lot.